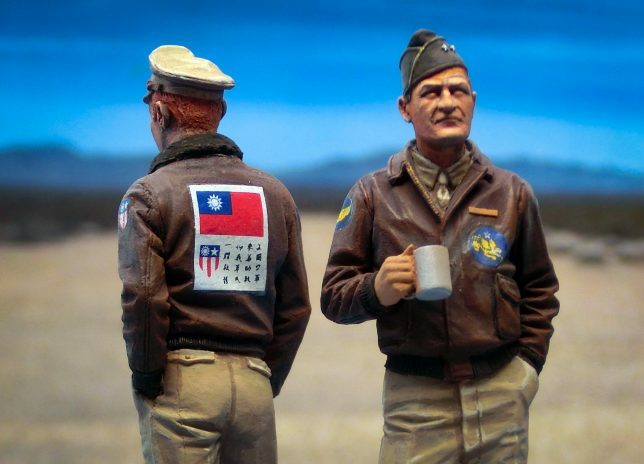 1/32 American Volunteer Group or China-Burma-India pilot model that can be built as either portrait figure of AVG commander Claire Chennault or famous ace Tex Hill, with extra parts — plus CBI patch decals to make any of a dozen CBI squadrons, including the Flying Tigers! 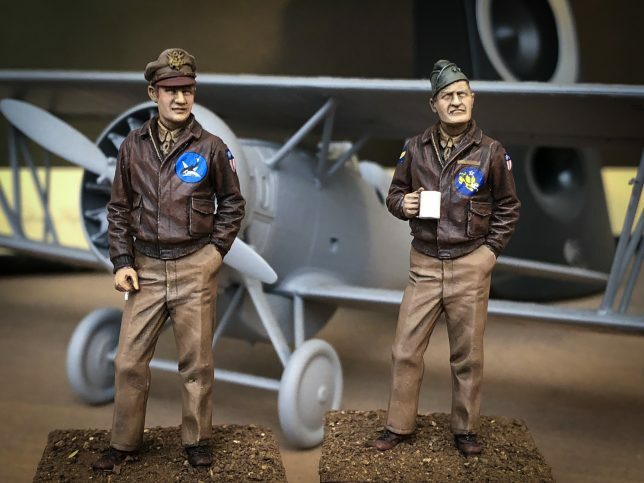 Mastered by sculptor Mike Good and cast by the masters at Alpine Miniatures. 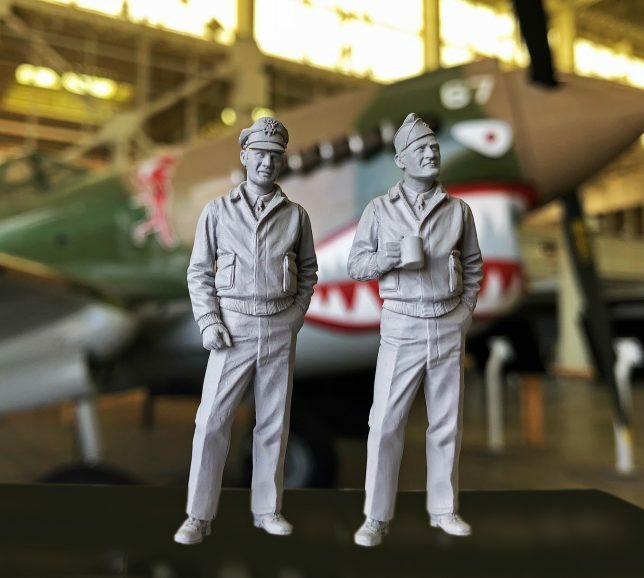 This is a single figure with alternate heads and arms. Includes the complete Pacific Monograph decal sheet PMAVI-005 CBI Patches Decal. Here’s Tex Hill and Claire Chennault all assembled, primed and ready for painting and decalling. You can switch arms and the head positions if you want. Tex Hill in a 75th Fighter Squadron jacket and Claire Chennault in his 14th Air Force jacket. 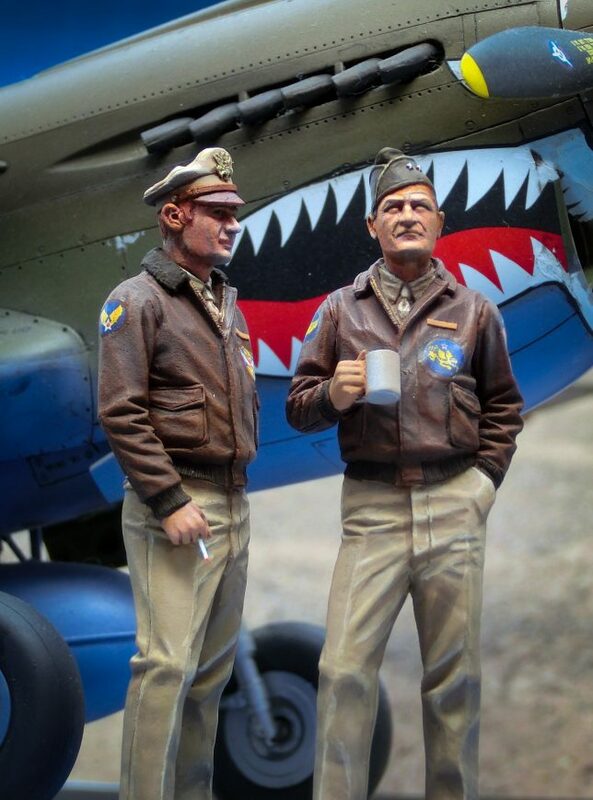 Bucky Sheftall duplicated the leather name tag with a strip of Tamiya masking tape, tinted brown, and posed Chennault in front of a 1/32 Hasegawa P-40, mimicking a famous painting of Chennault. 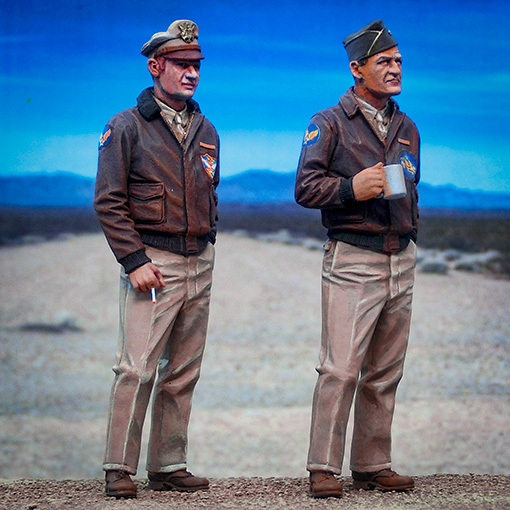 Hill and Chennault, as painted by master modeler Bucky Sheftall — note the added “fur” collar and cigarette on Hill, and the leather name tags on Chennault, made from a tinted strip of Tamiya tape. Two type of CBI “blood chits” are provided in the decal sheet. Painter Bucky Sheftall added a cigarette and a fur collar to Tex Hill.